All training sessions are open to all interested. Premier/Reserves: Tuesdays (29/1-26/2) outdoor session at Gladeswood Reserve Maygrove way, Mulgrave from 7pm-8:30pm. Subsequent sessions TBC. Thursdays (31/1-28/2) from 7:30pm-9:30pm at Monash University Clayton. NB: Those looking to play Premiers must attend both sessions, those for reserves must attend at least one session. Juniors: Wednesdays from 5pm-7pm at Monash University Clayton. Div2/3: Wednesdays from 7:15pm-9:15pm (7pm arrival) at Monash University Clayton. Juniors: Wednesdays from 5:30pm-7:30pm at Monash University Clayton. For more info on the above, please contact us directly on our Facebook page. 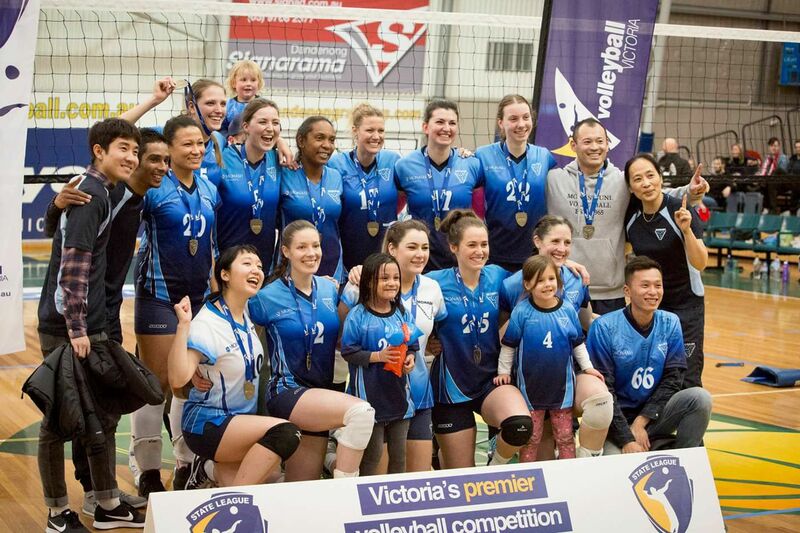 Monash University Volleyball Club would like to formally acknowledge and thank outgoing Premier Women's Coach Karl Lim for the stability and success he has brought the women's program during his five year tenure. Karl achieved the ultimate success winning a State League Premiership with the team in 2017, four years after he joined the rebuilding program, and fell just short of winning back to back Premierships in 2018. The Club congratulates Karl on securing an exciting new opportunity and wishes him all the very best moving forward. The Club would also like to welcome incoming Premier Women's Coach Michael Brookens, and Assistant Coach Johanna Dal Santo. Michael comes to us with a wealth of experience in his 29 years of coaching, spanning the USA, Sarajevo, Japan and Australia. Johanna joins Monash on the back of a highly successful playing career which has included representing both her state and country. We are looking forward to the 2019 State League season with formal trainings commencing early February next year. Details for preseason trainings will be published on the club Facebook page and website closer to the date. Stay tuned for our 2019 season schedule. For select live state league matches and news follow us here.